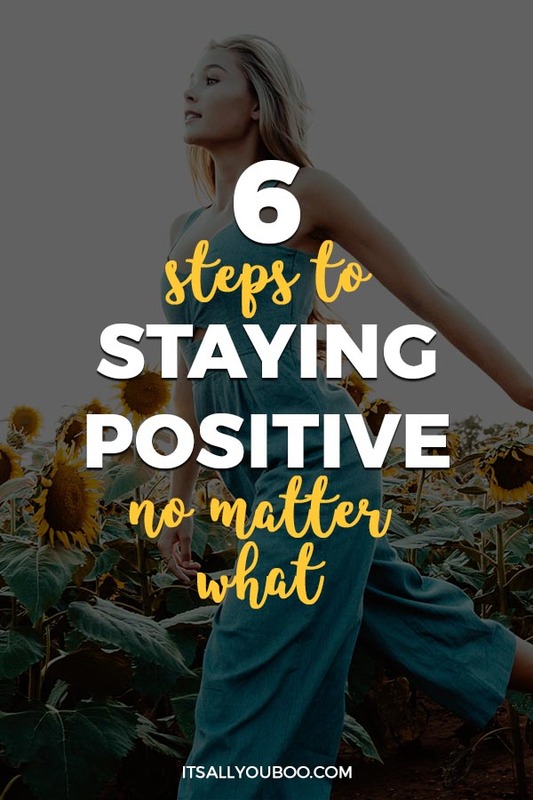 How do you stay positive no matter what happens? Does the power of positivity really work? What are the first thoughts that run through your mind when something happens? Are they positive and focused on the bright side of things? Or do you go straight to negativity and the dark side, no matter what? Either way, it’s infectious. Your negative or positive thoughts multiply and spread throughout your mind, life and those around you. The more negative thoughts you have the deeper you train your brain to think negatively. You can either be negative no matter what happens or stay positive no matter happens. A lone “things are falling apart,” or even a “FML” can echo in your mind and stick as the one track that just plays and plays and starts directing your life. The places where you should be able to find joy, seem joyless, your victories feel not good enough and even though you’re doing great, you can still feel like a failure. Before you know if you’ve set a habit for yourself that requires you to train your mind to be positive. Thinking negatively is a habit, and like any bad habit, it can be broken. Tough times come, that’s a fact (no fake news here sorry). Sadly, horrible things that will break your heart will happen too. But, if you train your mind to seek out positivity no matter what, those times will be incidents in your life, not a life-long instinct. Recently there have been a lot of difficult changes in my life. During these transitions, I realized I can act and think in a negative way. I complain I tell myself things aren’t working out, I quit before I even try, I judge people, and on and on. But recently, I realized that this negativity is holding me back from being happy and having fun. So a month ago I decided to be positive in life and embrace the power of positive thinking. Being negative always made me feel gross. The occasional meanness that accompanies my negativity would keep me up at night. It didn’t sit well in my stomach. It wasn’t and isn’t who I want to be. I want to surround myself with positivity, to just be happy and the quickest way to do that is to first be positive with myself. 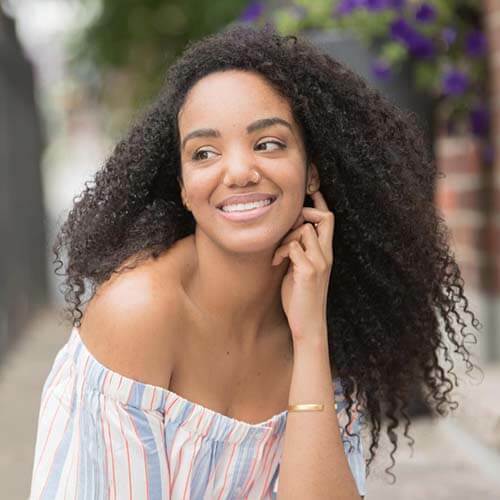 Looking back at how I become more happy and positive, there were some steps that I took to change my negative mindset. You can use these same steps to change any mindset or help you kick your negative habit with a little modification. You can also stop the negative self-talk and start positively speaking to yourself daily. The first step to changing any bad habit (and thinking negatively is a habit!) is to realize you do it. Whether it’s being negative, compulsive lying, or even biting your fingernails. Once you’ve realized that you’re doing this negative thing you can start stopping yourself before you do it. But before you get to stop your bad habit, you have to do something even harder, owning up to it. This may be to yourself to accept this project of personal growth, or it may be to a group of people you just did your bad habit in front of. When you say something mean or put someone down, call yourself out. Tell them you’re sorry for being mean, you’re trying to change and be more positive and then continue on. It may seem hard at first, or uncomfortable, but if just do it and move on, it gets easier. Going back to what I just said about recognizing what I’m saying to others, my negative mindset comes out of my mouth all the time. I complain about too much. I would not want to hang out with me just because of how negative I can get sometimes. So I call myself out and try to replace all the negative stuff I say with positive stuff. I have “Speak Positively, Live Positively” written in my planner so I never forget. Speaking positively, to me, means looking on the bright side. Seeing good things instead of the bad. It also means holding my tongue, not partaking in gossip, not complaining. If I start with an outward approach to being positive, I start to actually feel more positive. It’s like how, when you’re feeling down, and standing in front of a mirror smiling for five minutes actually make you feel happier. That’s how this works for me. You can start with your mindset and work from interior to exterior. But I like starting with my actions towards other people because at the end of the day, acting negatively to others is what I regret most. This may be a crush or a friend who always brings out the worst in you. They always encourage you to gossip or to say something mean. Or it can be even worse than that, a family member who brings out the negativity in your life. You may be thinking I’m about to tell you to cut them out of your life, but that’s not always the best thing to do. If it’s a friend or a crush, or someone who you deep down want to cut out, go for it. I have cut people out, other people have cut me out of their lives and we’re all better for it. But when it’s your oldest friend or even your mom, things are even more difficult. Remember you’re trying to change you. This isn’t about them, it’s about you. Don’t take part in being negative or gossip. You can even tell them what you’re doing, “I’m trying to be more positive” hopefully they’ll understand and support you. If not, it’s not the end of the world, change the subject, talk about cute cat videos or some other thing they’re likely to be positive about. Take a break. If they continue to be negative around you, take a break to remember what you’re trying to accomplish and why it’s important. When you come back to the relationship, start being positive right away. Completely refuse to say something negative, or even to agree with something negative. Call them out. Tell them that they are being negative. Be nice about it. Ask if they’re feeling okay. The day I decided to be positive I had a situation where someone important to me had been negative the entire day. I felt uncomfortable around them but instead of running away I said, “Hey, I’ve noticed that you’ve been really negative lately” and then we had a conversation about why they felt down and we moved on. But, I felt way better calling them out, then simply shoving it under the rug. Often when people are being negative, it’s because of something external. Maybe they feel insecure or sad and being someone they can talk to will help. Remember that there is nothing wrong with cutting people out. If you’ve tried to be friends with someone yet they continue to ruin the friendship by being negative, it’s fine to cut them out. Your happiness is number one and you should never feel bad for protecting it. And who knows, maybe you can be friends again after they have had some of their own personal growth. Sometimes you may forget to stay positive all the time. Sometimes you have a bad day and need to vent. It’s okay to have a negative day, so long as it doesn’t negatively affect your life. You can’t beat yourself up for having these bad days. The most important thing is to come out the other side remembering why it’s important to have a positive mindset. To me, a positive mindset doesn’t have to mean I think the world is sunshine and roses all the time. Living that out means acting positively to other people, to creating a healthy, positive environment to live in, and focusing on being happy. So be kind and positive towards yourself too! If you’ve taken on a project of personal growth, be proud of yourself. You are enacting positive change in your life, talk about it like people talk about taking up yoga. The more you talk about your project the more accountable you will be, because people will know when you fall off the wagon. It will also make you feel great when people meet you with enthusiasm and encourage you. And if they don’t get it and are negative about it, remember #3. Not everyone is going to understand, or even accept your new positive outlook on life. It’s okay if they don’t. Don’t let them rain on your parade! This may be your best friend or a significant other. If you want to change something about yourself you may not always realize when you are doing it. Having someone who can call you out in a kind manner can go a long way. Accountability buddies are not only great for changing your mindset but also for other positive change you want to exact in your life. Whether it’s remembering to go to the gym, or eating healthy, having someone who will keep you accountable and encourage you is awesome. You don’t have to be positive all on your own! Surround yourself with positive people. Over the last two months, I’ve been happier and the least stressed I’ve been in years, all because I decided to be positive. Apart from feeling better I also find myself more outgoing and more likely to put myself out there to achieve my goals. The wonderful thing was that all this positive change came out of one small decision to change the way I think. Little changes in my life that have resulted in big benefits. 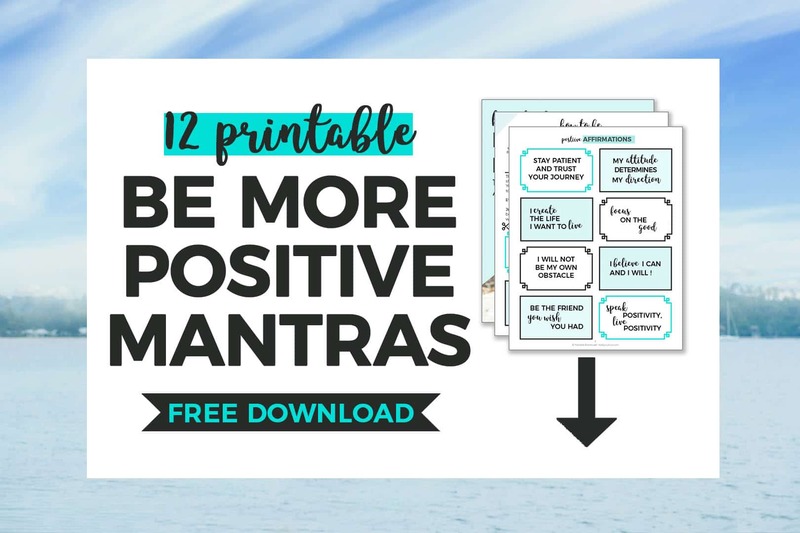 Sign up below to get 12 Printable Affirmations to help you stay positive no matter what happens. Affirmations are a powerful way to rewire my brain for positivity (or build up your “positivity instincts”). They’re short, they’re powerful and they pack a serious punch when used regularly. You can whisper them, you can shout them, no matter how you use them, they do the trick. 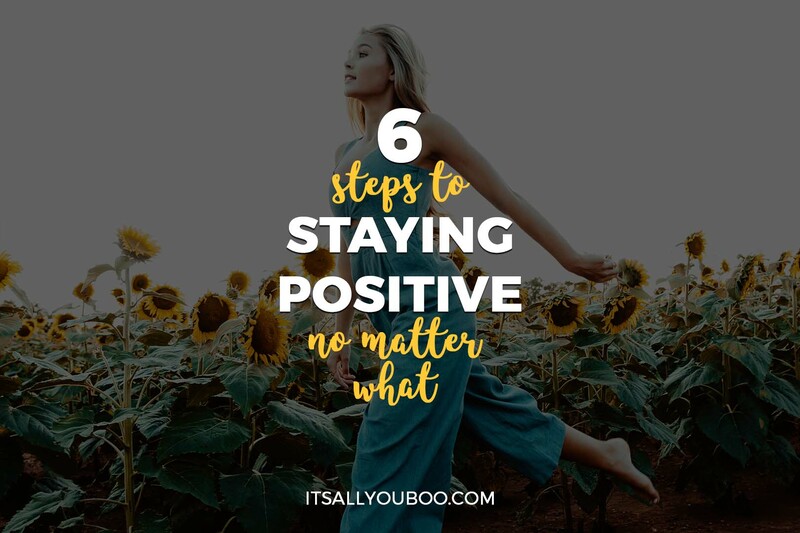 How do you stay positive no matter what? 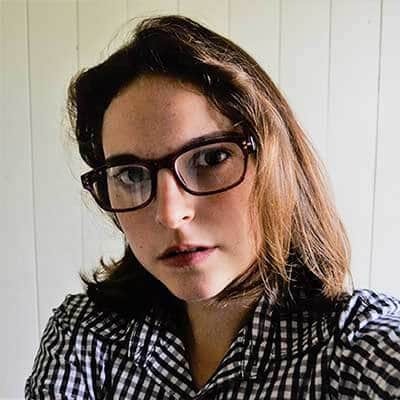 Grace R. Taylor is the writer behind The Un(grace)ful Blog, a blog on which she shares stories about her life as a student, random thoughts, and writing advice. Her blog is somewhere between an open diary and a commentary on her experiences. I believe in the law of attraction. Positive thoughts attract positive ideas. Great post. I totally agree with you, John. My dad used to preach the law of attraction to me as a kid and it has proven itself true to me. Wishing you an awesome and positive year! Great piece! I always write down positive affirmations to keep me grounded- I even have a little box with them that I pull out every time I need a little mental pick me up. That is such a good idea! I definitely have to try that. I do have a few in my phone at all times. Wow. This is great stuff. We all need to be postive in life and these tips are really good ones. Thanks for sharing. Thanks so much for your kind comment! Just keeping a positive attitude has really helped me out and I couldn’t help but write about it. Best wishes! Nice post! Like you, I also like to think positivity is what the world requires right now. I do my bit buy wrapping up positive news every week on my blog. Keep it up. I’m glad to hear you do a positive news post. It’s really getting drowned out with everything going on but we can never forget the good. Keep up the good work spreading positivity through the internet. Great tip. Who ever follows this will be able to keep his or her life organized. Thanks so much Oyibo. I hope you did follow Nadalie’s blog. I do myself and her posts are awesome every week. I LOVE this post! I have tried, many times, to always be positive, but is very hard to do, when you are surrounded by those who wants to focus on the negative. Gossip..I hate Gossip and that seems to be around me daily. I always feel so much better when I get to read my Dr. Wayne Dyer books…which focuses on thinking and being positive. Gossip is very contagious but I’m glad to hear you too focus on positivity. It’s really important in the ever busing world to remember everyone’s human and the best way to spread positivity is to be an example. Keep up the great work Jenny! I knew the second I saw this title that I was going to love this post. In the last year I have tried so hard to become a more positive person, and tap into my thoughts. And actively trying to be more positive has changed my life, ten fold. It changes every situation, and makes you a person that attracts all the positive vibes in the world. I truly believe that if you put out positive vibes and energy into the universe you will receive them back. I’m so glad to hear that! I’m still just starting out on my journey but already it has really helped me. The biggest motivation ever is hearing all these awesome comments like yours! An accountability buddy is important. When struggling with anything, it is a great idea to have someone alongside in the process. Overcoming negativity can be difficult, but it is worth it! It definitely is important to have an accountability buddy in anything. Thank you so much for your comment, it’s a great reminder in staying positive when you read all these wonderful things. Yea, great post as reminder to be positive as much as we can. Thank you! This is an amazing post. Great tips to keep in mind, I was around a negative person, and I really feel like sending this post to them lol. Haha. I understand to urge to. I’m glad you enjoyed my post and thanks so much for the comment. Really keeps me positive when I know so many people out there feel the same way and try to live their lives positively. It’s allll about step one for me! Half the time I don’t even realize the negativity I’m bringing upon myself. The day usually gets better from that point on. Love these tips! I’m glad to hear I’m not the only one. Step one is always the hardest for me. Great job turning around your day, you rock! Thank you so much for reading my post! It means a lot to me that it’s helpful. I also struggle with feeling bummed when I don’t finish my to-do list but I have been trying to do “A To Done” list instead. Makes me feel a little more accomplished, especially when some of the things are “helped someone today” or just “got dressed”. It has helped me see the little victories. Unstoppable post here. Cheers, lovely lady! Thanks so much Rhonda! It makes my day to know you liked it. This is all so true and so valuable!! The thing I always try to remember is that we tend to tell ourselves that we have no control over our circumstances, but we always have control over how we react – if not the circumstances themselves. Once you flip things around like that, it changes everything! Yeah, that definitely true. We can be the masters of the energy around us and how we react to people and experiences. Staying positive at the worst of times is the hardest but also the most important because, in my experience, being positive helps get you out of the worst moments and into the best. Thanks so much for sharing this. I’ve always been a worrier and am hardest on myself. I’m working to see things more positively and dwell less on my faults or bad things that might happen. This tips will definitely help! I’m so glad you find these tips helpful. I’ve used them quite a bit since I first started making the conscious choice to be more positive. Best of luck you’re already most of the way to a more positive mindset just by deciding to go easier on yourself. You gave me so much life with these awesome and accurate tips. I believe that a little bit each day goes a long way. You made my night, thanks for sharing! Thank you so much, Sapphire! Your comment made my day. Good job hustling for that positive attitude! Removing yourself from negative situations is definitely the hardest for me as well. I just started up at uni and the gossip has been a big thing so this being published now is a good reminder for me as well. Best of luck in the future and it really makes me happy that you enjoyed my post. Great post. I think we all need reminders like this article. 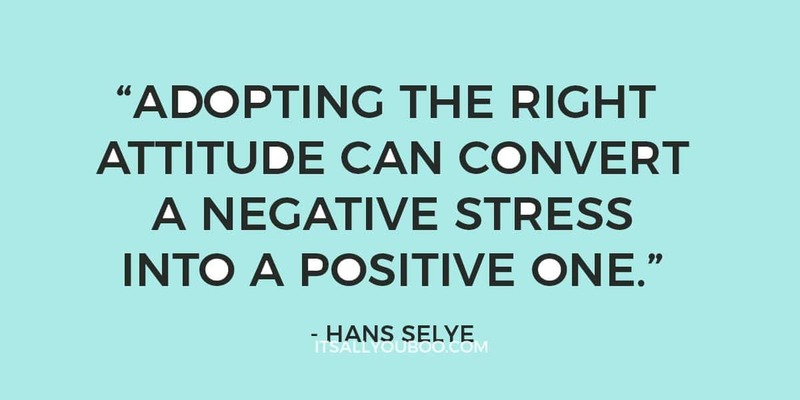 Finding your positive attitude and sticking to it is healthy and needed. I have had to cut out certain people from oru family due to the negativity. Thank’s so much for the lovely comment Censie. Thanks for sharing. My cousin is going through something and I really don’t know what to tell her so she can stay positive throughout her ordeal. Will share this with her. Thank you so much for your comment. Tell your cousin I wish her the best of luck with whatever she’s going through. I don’t know yours or her situation but sometimes just being someone who can listen and stay positive when around her can really help. Best of luck to you and her both. Great reminder. I want to thank you for this post. I always need a little encouragement in these things and I appreciate your post for helping with that. I also have a few books on my bookshelf that encourage it too. Thank you so much, Karissa, I’m happy to know my post was helpful. Such a great post. Everyone goes through such emotions at some time or other and good to read the validation on how to handle these in a proper way. That is definitely true, I fall off the wagon all the time, but I always get back to being happy and positive. One of the most important thing is to want to be happy and positive and to work hard on an environment you can thrive in. Thank you so much for your comment and best of luck in the future. Great post! 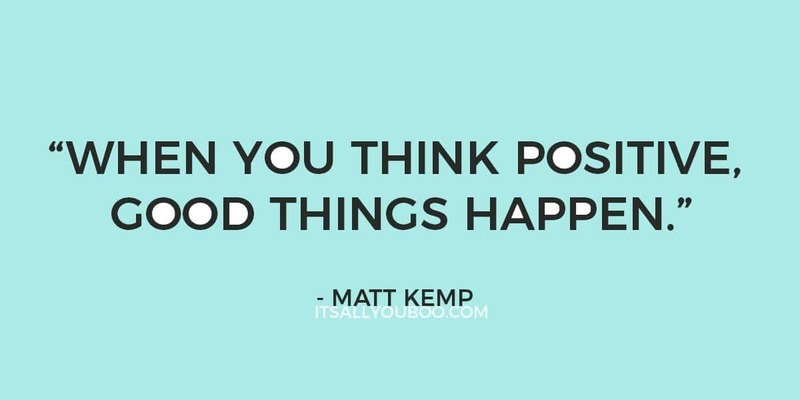 I always like to stay positive and only think positive thoughts. I think my children pick up on that as well and feel it is healthier for them, too. Giving off good vibes can only be a good thing, right? I defiantly believe that just staying positive is good in every situation. Even if you’re not trying to spread it around, just staying internally positive can help no matter whats going on. A great post thank you for sharing what ever attitude we have catches on. I will be sharing your article with my team and clients today. I’m so happy to hear that Linda! It’s always nice to get a reminder to stay positive. Great tips! I appreciate you sharing them in such a clear and usable format! Great ideas and tips. I am a pretty positive person but will pass this on to a good friend that isn’t. I’m happy to hear that. Just remember that your friend may be going through something. It may be good to ask them if they’re doing alright, they may not be aware of their negative attitude or anything wrong. Just be there for them no matter what they’re going through. Great post! It’s so much easier to believe the bad thoughts over the good but these are some good tips for keeping it together. Speaking positively is something I’m striving to do more of daily. It really does help ease anxiety. I’m so happy to hear you’re trying to speak more positively. Wherever my anxiety starts getting the better of me I always try to think positively about my surroundings and about my anxiety as a safety net. Best of luck in the future! Sch a wonderful read. being positive is always a choice you need to make in life for better living! Thank you so much for the comment. I see positivity and happiness to be linked and so definitely, staying positive is important for better living. These are all SPOT ON! For me it’s a daily challenge to be positive because of the situation I am in. I try every day to say one positive affirmation…it really does work! I really hope your situation improves and that you’re able to be more positive. I find that positive affirmation at a time helps. This is a great post! The thing I’ve learned about negativity is: it doesn’t help anything. 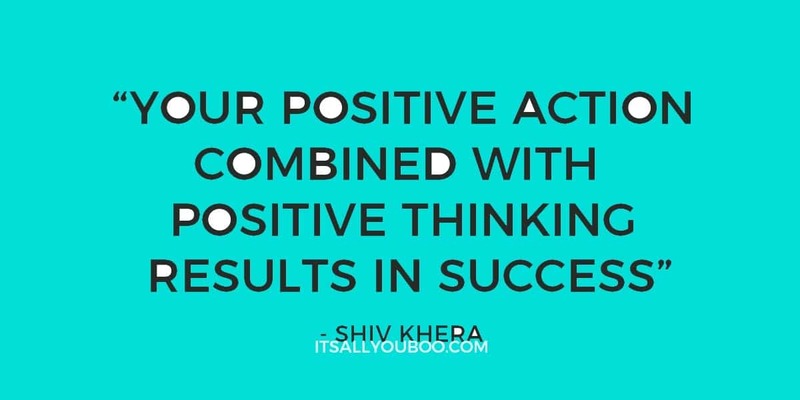 But POSITIVITY helps almost anything! So glad you enjoyed it. I completely agree with you, Grace did a fantastic job! It sure does! My awesome daughter helps me keep a rosey outlook on life! One of my favourite sayings to keep positive is, ” if you change the way you look at things the things you look at change”. Great tips Grace! That’s awesome to have someone that makes wearing rose-tinted glasses come easily. That’s a wonderful quote. Mind if I use it sometime? I so agree – it’s a wonderful post by Grace. No better impetus for us to live more positively than for children. For now, I choose to purge my life of the drama and negatively for my own sake as well. It’s sooo exhausting to have those people in your life. I really like your tips. Especially removing yourself from the negativity. I’ve done that with friends and others who just didn’t serve me well anymore. It is not worth the aggravation to be around negative people. I’m working on removing other negativeness from my life. Thanks! Thanks, Amy. I’m glad this resonated with you. Good luck and remember the most important thing is to remember why you want to live positively. #1 & #3 are soooo important!! I still struggle with #3 sometimes. I really like that point about calling others out who are close to you about being negative. It can totally drag you down. 1 and 3 are definitely two of the biggest points. The most important thing to remember when calling people out is to do it with kindness. Thank you so much for your comment. Best of luck. I loved this post! I shared it on my Facebook so others will have the opportunity to read it as well. Thanks! Great post, Grace. As a strengths-coach, I recognize that some people more naturally look at the bright side. It’s how they instinctively process their world and it may not even be conscious for them. They’re also naturally enthusiastic and get others excited with their enthusiasm. That strength is called Positivity, go figure. But if you don’t naturally navigate the world that way, it’s so helpful to have practical strategies to manage a critical outlook and the effects of that. Really great strategies here. Thanks for sharing! Thank you so much for your comment, it’s really good to be reminded now and then that everyone has different ways of seeing the world and some of them are negative. I was always taught to be an optimist but when I found myself becoming more negative I starting using these strategies myself. Best of luck. I’m glad to hear that Aareeba. Despite crappy days, I AM ALWAYS positive. ALWAYS. I think it’s because I just know that regardless- things could ALWAYS Be worse!!! In fact, even when I have bad days – my life is amazing! I look at everything with a glass 1/2 full perspective and really focus on the positive attributes of my life. Life is way too short to be miserable! I’m so happy to hear that GiGi! Optimism is wonderful and I’m glad that you’re able to find positivity even on bad days. Keep up the good work! I agree that this is a great list of things to get us to focus on the positive of things. The downside of this comes when you cannot remove the negative from your life. My ex is a very bitter and hurt person, unfortunately. And I do not blame her for all of the things that have gone wrong. But the reason we split was that it was toxic. Unfortunately, we share a child so there is really no means of escape. It’s sad but true. I’m really sorry to hear that. Some of the most negative forces in my own life are family meaning I don’t want to cut them out. I like to go to a positive space when their negativity is draining me, even if it’s just a happy thought. Best of luck in the future. Great article. Such an awesome tips to stay positive no matter what. I always surrounds my self on being positive as always. And throw away all the negativity in my life. That’s great to hear! I’m glad you’re able to keep positivity in your life. Keep up the great work and best of luck in the future. Lucky me I just bought a ring mold and acetate. Perfect timing! These steps are very do-able for everyone. I think re-evaluating relationships that are toxic are important as I know, from personal experience, how anxious I become in the company of some people and how their negativity impacts on me. I am including this article in my Health Resources Library on my blog and shared to my FB page. Please contact me if you don’t wish it to be included.